I finally got my hands on some Nock Co cases and while I haven’t had a chance to use all of them yet I have been carrying around the Lookout case the last few days. 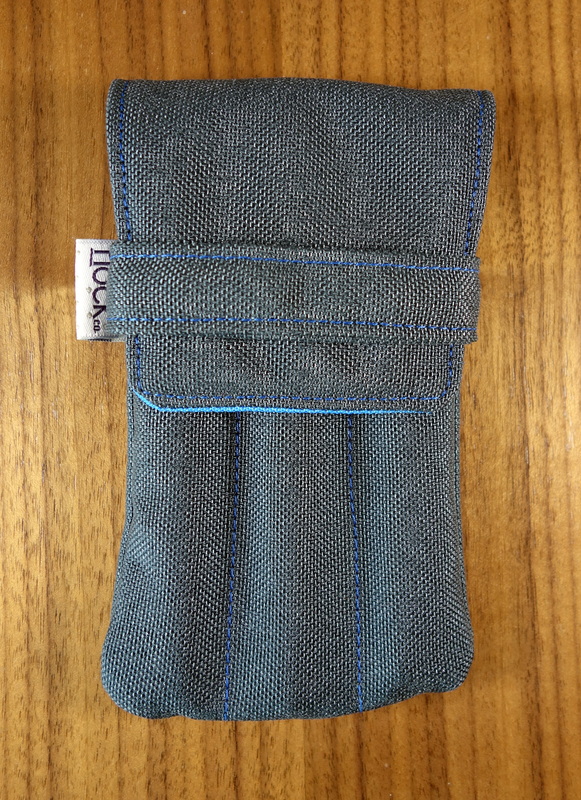 The Lookout is a 3 pen case made out of a soft but heavy duty nylon exterior and a smooth pack cloth interior. I choose the steel exterior and the blue jay interior. The color combo looks great; I especially love the blue stitching on the grey exterior. The exterior nylon feels somewhat similar to a Cordura nylon, that is to say it is a textured nylon which gives it a more organic and less technical feel. 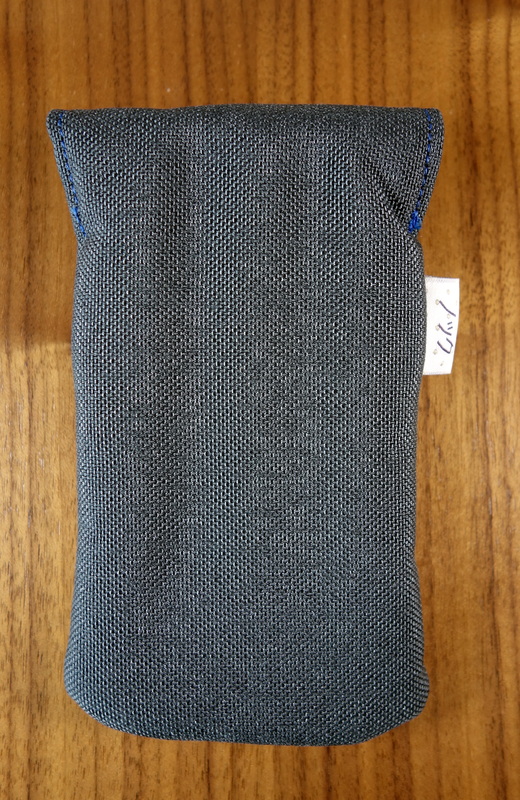 The interior packcloth actually reminds me of the nylon material on Nakaya’s Kimono cases. When I backed the Nock Co Kickstarter I was not certain that I would want to use the cases with some of my more expensive pens. After handling the cases I believe them to be pretty safe. Being a soft case the Lookout may not provide as much external protection as the Pelikan 3 slot pen case, which has a more rigid structure; that said, the Lookout separates the pens better so I am much less worried about my pens coming in contact with each other. 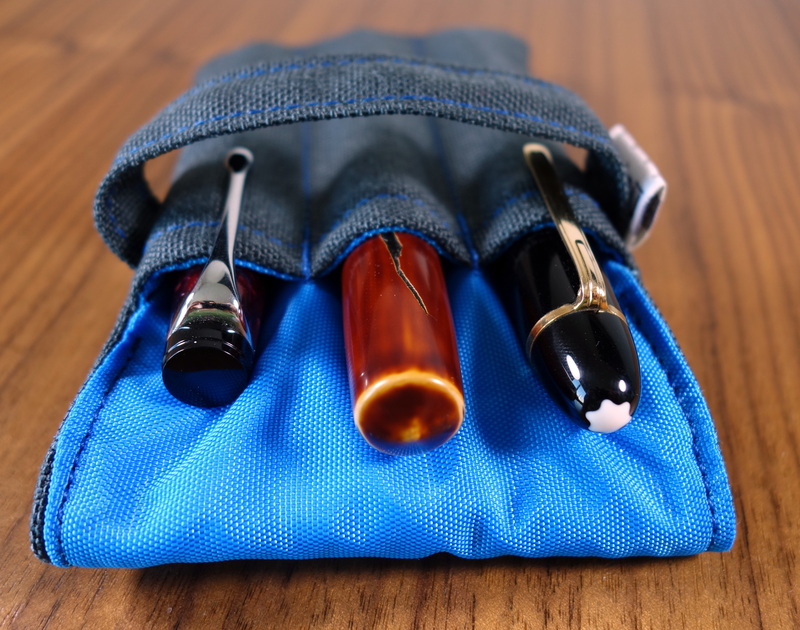 Unlike the Pelikan case, the Lookout can hold three large pens comfortably. I was able to fit my Nakaya Naka-ai, Montblanc 149 and OMAS Paragon into the lookout without problem. So how is the build quality? The Lookout, like all Nock Co cases, are made by hand in Georgia, USA. The stitching is tight; I measured a consistent 9 stitches per inch which means the seams should be very strong. I noticed that the band that holds the flap isn’t perfectly aligned; the right side seems to be a bit lower. The stitching while, tight is not perfectly straight in some areas but being a handmade item there is always going to be a bit of variation and that’s part of the charm. 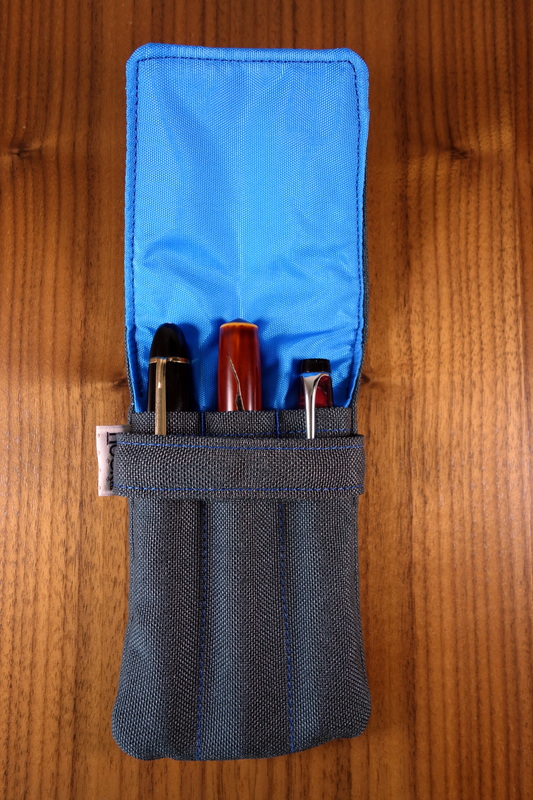 I am not certain what the price will be when the Lookout becomes available for sale on the Nock Co website but in the $15-$25 range, this pen case is a great buy. When can I buy this case?